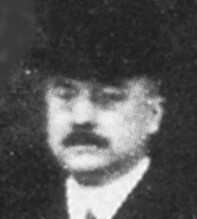 A key figure in the establishment of the film industry in America, George Kleine's father Charles ran a small optical store in New York, manufacturing and selling stereopticons and other optical devices. George, on joining the family firm, moved to Chicago and set up the Kleine Optical Company in 1893. 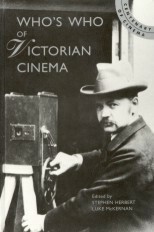 The company sold stereopticons, lantern slides and, from September 1896 onwards, motion picture equipment. Initially dealing only in American product, among these were Edward Amet's Magniscope and from 1899 an exclusive arrangement for Edison films and film equipment in the Chicago area. From 1903 he began dealing in Biograph and European films as well, to Edison's annoyance, and he was one of those instrumental in establishing the film rental system in the United States. He also moved into production with the formation of the Kalem Company in 1907 (named from the initials of its founders Kleine, Long and Marion). He became a key figure in the bitter patents fight that arose in 1908, instigated by Edison and solved (temporarily) by Kleine with the creation of the Motion Picture Patents Company. Kleine continued to derive his greatest prestige from importing European films, notably the Italian epics Quo Vadis (1913) and Gli ultimi giorni di Pompei (The Last Days of Pompei) (1913). The First World War saw many of his European contacts lost, and he largely withdrew from the film industry, by now a very wealthy man. In the 1920s he continued to distribute films and to maintain a position of prestige within the industry, while further developing his long-running interest in educational films, but had retired by 1928.